The James Norris Memorial Trophy is presented annually to the defenseman who demonstrates the greatest all-around ability in his position. The winner is selected in a poll of the Professional Hockey Writers' Association at the end of the regular season. The award was named after James Norris, a grain millionaire, who purchased the Detroit franchise in 1932 and re-named it the Detroit Red Wings. The Norris family owned the Red Wings for 50 years, selling it in 1982. Under James Norris' ownership, the Detroit Red Wings won seven Stanley Cups. Through the 48-year history of the trophy, there have been several players who have won the award on multiple occasions. Leading winners: Bobby Orr (8), Doug Harvey (7), Nicklas Lidstrom (7), Ray Bourque (5). 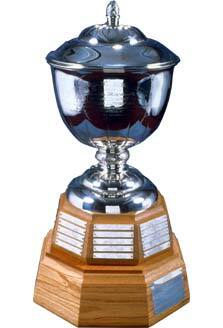 The James Norris Trophy was first awarded in 1954. 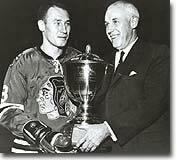 The inaugural winner-Detroit's Red Kelly.